Even if you don't buy anything, visiting the local souk (or market) of a foreign city can be an interesting experience. We've enjoyed them in Dubai and Luxor before, so when we heard about the Khan el-Khalili souk in Cairo we decided to swing by and check it out. Our journey got off to rocky start when our cab driver dropped us off at the wrong location. From there we got directions from the tourist police which sent us walking through various Cairo side streets. Just when we started to lose hope that we'd ever find it, the market revealed itself around the next corner. The souk we visited in Dubai was primarily for tourists, and in Luxor they had both a tourist and local section. 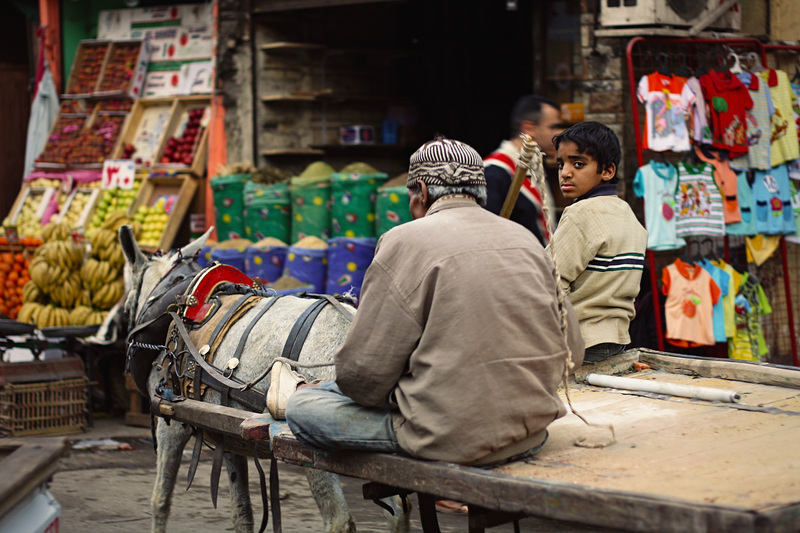 Although the market in Cairo had it's fair share of tourist oriented products for sale, it seemed to cater primarily to locals (possibly due to bombings in 2005 and 2009 which scared away some tour groups). There was a stunning contrast between the bright, fresh vegetables and the soiled and neglected alley in which they were being sold. A basket of live rabbits (unaware of their impending doom) and pigeons for sale, fish being gutted and weighed in the street, and goats and feral cats scavenging through rubbish for food; were just some of the sights and smells of the marketplace. A souk isn't a souk without the requisite gold store, because who doesn't want to navigate through donkey droppings and puddles of dubious origin, for the privilege of dropping a couple hundred on some 18 carat gold?! I remember this market in Cairo! I loved it! I am still insanely jealous of you guys and your travels. What gorgeous photos! Did you buy anything? I love local markets!! Look at those jewels, did you buy anything!? Alison & christine - Nope! Not this time. We haven't bought too much on this trip because it's difficult to carry around the extra stuff. Awesome, awesome photos! I love the chaos, clutter, colour and gold mixed in. Looks like you guys are having a fab time! lovelove all these photos!!! your adventures are so amazing! ps: as for elizabeth gilbert---i did find myself getting annoyed with all her babble about herself. but then i realized---i was willingly reading about---well...her. so i endured and was just amazed by her travels. her descriptions were amazing. over-all i still loved the book. am so excited for the movie! wow! I definitely want to experience a souk someday. putting that on my list!! ooooh, i remember being in this market 3 years ago. what an experience - and your pictures capture it so accurately. there's one shop that's on the opposite side of the main souk - that's kind of hidden away - where you can buy authentic keepsake boxes (not sure how to explain them) inlaid with camel bone...not the cheap knock-off touristy ones. you actually see the guy making it in all different sizes. i bought a very small one but always regret not buying a bigger one. 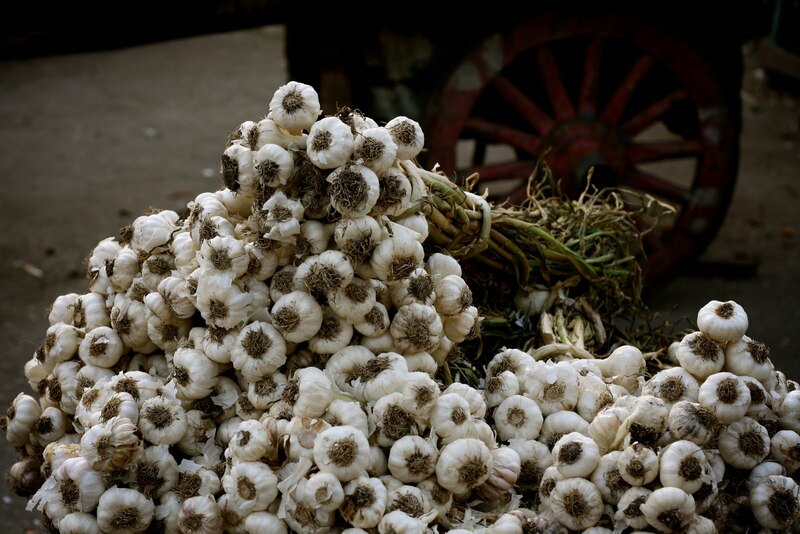 and that picture of all the garlic brings back so many memories - so much garlic! be back soon to check out more. Maybe you can check out mine if you get some time? I love all the details in markets abroad. They remind me of those Richard Scarry books I read as a kid that taught vocabulary words to children using the most elaborate pictures! Look at all that gold! Amazing! I wish I was there. Markets are amazing - these pictures are fabulous. What a great experience. I went to Egypt when I was 3 months old - I don't remember much. I wish I could though because it looks like an amazing place! These photos are amazing - what an awesome experience! Great photos, sounds like quite a the experience!